His eminence with delegation discussed forming the future government and the latest political situation in Iraq. His eminence stressed the importance of forming a strong government capable of realizing the aspirations of the Iraqi people and providing services and job opportunities, and the need to address administrative system and fight corruption. 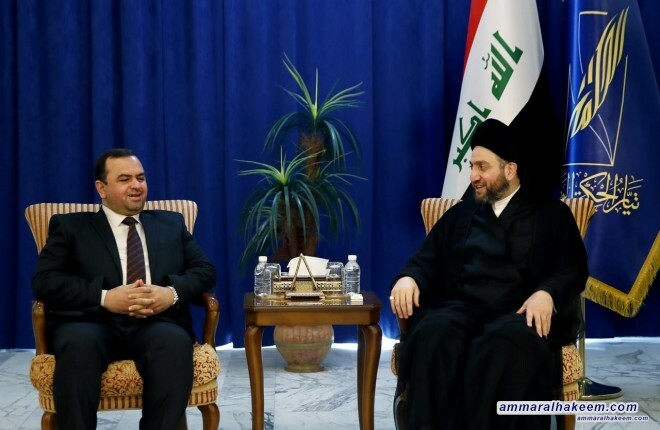 His eminence stressed the importance of supporting the government in its next mission, pointed out that the reform is a joint task among all, and It is necessary to take into account the importance of consultation with the political blocs considering the nature of the parliamentary system.